Ed Ruth while wrestling for Penn State in college. On Friday, April 6, 2018, Bellator 196 will be hosting lightweights Benson Henderson and Roger Huerta, in the main event at Nemzeti Sportkozpontok – Bok Hall in Budapest, Hungary. On the main card, Ed Ruth (4-0) will be squaring up with Ion Pascu (17-7) inside the cage for the second time at welterweight. The main fight card starts at 9 PM EST on Paramount Network. Ed Ruth (4-0), looks to remain undefeated against a much more experienced MMA fighter in Ion Pascu (17-7). Back in early November at Bellator 186, Ruth secured his fourth straight finish against Christ Dempsey (11-6). In all four of Ruth’s fights, his opponents haven’t made it past the second round. At Bellator 163, he earned the TKO verse Dustin Collins-Miles in round 1 and at Bellator 168 he finished Emanuele Palombi even earlier in the first round. In 2017, Ruth continued his dominance by earning a TKO with a monster knee to the body of David Mundell in round 2. At Bellator 186, Ruth scored a Knockout against Dempsey in round 2 at 0:27. Ruth has only been in the cage for a mere 18:32 out of the possible 60-minutes of his four three-round scheduled bouts. What makes this so intriguing is that Ruth enters the sport of mixed martial arts with the best wrestling pedigree in quite possibly all of MMA. Ruth is a 4-time All-American, 4-time Big Ten Wrestling champion (only 1 of 16 wrestlers to ever accomplish this achievement), Placed third at the 2011 NCAA wrestling championships and is a 3-time NCAA wrestling Division I National Champion (2012, 2013, 2014). The Penn State Nittany Lion Alum was a dominating wrestler from the top position, controlling all the action while riding his opponents, similar to his first two MMA victories, where he controlled Collins-Miles and Palombi from the top finishing his opponents’ with vicious ground-and-pound. As Ruth continues to evolve and sharpen his striking skills, added to his grappling skills, his stock will soar as he continues winning inside the cage. At the middleweight and welterweight divisions of Bellator, Ruth could possibly clear through both divisions. At the 2017 Pan American Jiu-Jitsu Games, the Nittany Lion went 4-1, taking silver in the Blue Belt division. His only loss occurred by a 0-2 decision, at the hands of Conner DeAngelis. Heading into this fight verse Pascu, Ruth sounds confident in his improvement since his November 3, 2017, fight against Chris Dempsey. Ruth trains out of Dethrone Base Camp in Fresno, California. The NCAA wrestling champion trains among UFC veteran and former title contender, Josh Koscheck (17-11), Bellator middleweight Chris Honeycutt (10-2), Bellator lightweight JT Contrestano (6-0), and Bellator welterweight Mason Fowler (2-0). Ruth, 27, has fought only four fights thus far in his young professional career, two bouts in 2016 and two in 2017, all under the Bellator banner. He mentions in his interview with MyMMANews that he would like to enter the cage as often as possible in 2018, and it does not matter who stands across from him. The former Nittany Lion also explains the key to his success throughout his colligate wrestling and professional MMA career. Ruth was coached by the greatest college wrestler of all-time, the GOAT, Cael Sanderson. Watching Ruth’s first four fights are a solid indicator that he shouldn’t be taken lightly. In only four bouts, the Dethrone fighter displayed his incredible ground-and-pound, utilized a knee from the clinch that dropped his opponent, and put the two divisions on notice with his power when he landed a one-punch knockout against Dempsey. Pascu may have the experience inside the cage with his 20 fight advantage, but he should in no-way-shape-or-form take Ruth lightly. He’s a finisher and when required, embraces the grind. Ruth will be a future champion in Bellator, the question, however, is, How many different weight classes? A victory against Pascu would leap Ruth right into the title discussion. A matchup with Neiman Gracie (7-0, 5-0 Bellator) or Michael Page (12-0, 8-0 Bellator) would place Ruth in title contentions. 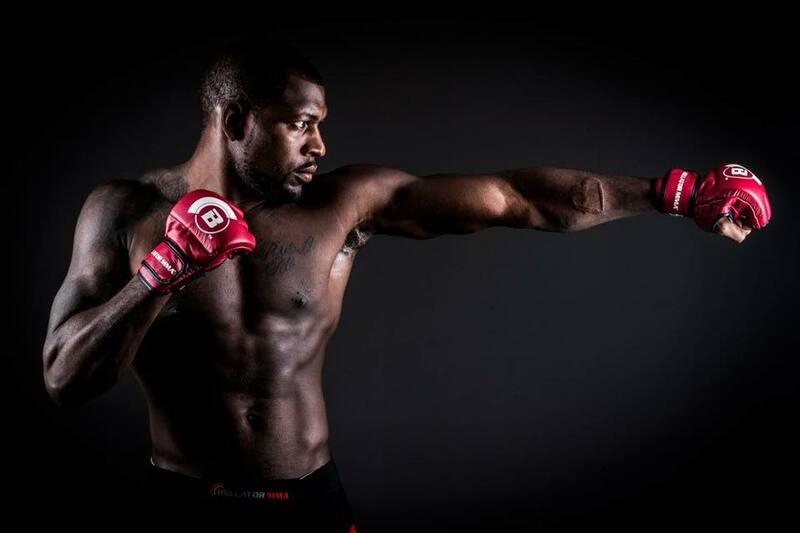 Ed Ruth is scheduled to battle Ion Pascu at Bellator 196, in the second fight of the main card on Paramount TV, beginning at 9 PM EST. Follow MyMMANews for updates and results of Bellator 196 on Social Media at @MyMMANews. Listen Below to the Full Interview with Ed Ruth. Ed Ruth speaks to My MMA News.com’s Kyle Carroll about his upcoming fight at Bellator 196 verse Ion Pascu. This is Ruth’s second fight at Welterweight. The fight takes place on Paramount TV on April 6, 2018, starting at 9PM EST.